This week in Smart Talk we’re delighted to feature a guest blog by our upcoming Smart Breakfast speaker, Grant Herbert. Grant is an expert in the Neuroscience of Performance and Leadership and will speak at our Sydney Breakfast on 6 February hosted by Maddocks. We hope you can join us, there are a few spaces still available. Book by clicking HERE. Have you ever wished you could have all the time in the world to do the things that you have to do and that you want to do? Has there been some time in your life when you wished you were a star in your workplace without having to sacrifice other important things in your life? In today’s fast-paced, often-stressful society, most of us wrestle in balancing our day-to-day schedules and activities. This struggle of balance often causes us stress and burnout; robbing us of a fulfilling and productive life. Work – Life Balance is a myth. It assumes work and life are separate and sort of implies that ‘work’ precedes ‘life’. Work, work, work and if you have any energy left…have a life. That’s not what you were created for. You have so much more to offer than that. The first step in achieving your life balance is to realise work is just a part of life. So what is the perfect life balance? The first thing to realise is there is no such thing as a one shoe fits all ‘perfect’ balance. It’s different for everyone, depending on your stage of life, interests and priorities. For me, having the perfect life balance is about prioritising time, space and energy to ‘be’ everyone I need to be in all areas of my life. It’s being able to produce my desired business outcomes without sacrificing everything else that is important to me. Here are a few elements of ‘my’ perfect balance. • Maintaining a state of motivation and inspiration whilst bringing out my very best game. • Making sound decisions and quickly bouncing back from setbacks. • Accomplishing more without working longer or harder in an environment that is simple and uncluttered. Enjoying real peace and contentment, living my life on purpose, making a difference for me and my family and the people I serve in my calling. How about you? Is this the kind of balance that you want to have in your life? Let’s take a look at some key ingredients that will help you achieve your perfect balance. 1. Live as if it were your last day on earth where you value every second of your day – be more mindful of how you would invest your time if it was. Having this kind of mindset will help you to embrace every surprise life offers you; be it good or bad. Ask yourself these questions: If today is really my last day, how would I like to spend it? What would I want to say to the people I care about? What would I want to do with my remaining time here? 2. Intentionally invest time with the ones you love the most as there will always be something that will distract or prevent you from them. That is why it is very important for you to be intentional. Being intentional means doing something on purpose. It’s not having the time, it’s about prioritising the time. Plan some non-negotiable space into your calendar, just for your loved ones, and never allow any form of distraction to steal it from you. 3. Value rest as you will never be the best version of you if you’re run down and haven’t planned in time to recharge. Self-care is imperative. Get more sleep. Treat yourself with a spa massage. Read your favourite book. Take some time to meditate as meditating for just 30 minutes a day will reduce stress, anxiety and increase social enjoyment and happiness. 4. Establish boundaries by learning to say no appropriately. Remember, every time you say ‘yes’ to something you are saying ‘no’ to something else. Saying no to non-essential stuff that comes across your desk is one of the keys to overcoming procrastination. For many years I would write lists of what “needed” to be done and then be overwhelmed by the size of the list. Become as clear as possible on where you want to go in life. Once you have a vision or goal of what you want, you will know what things to say ‘yes’ and ‘no’ to. It amazes me that in the 21st century we are still seeing people preach and teach ‘Time Management’. Many of you reading this article will be convinced that you are time poor and would love to do what I suggest here but…..
Let me help you with that so you can kick your but! Time is not in our control. 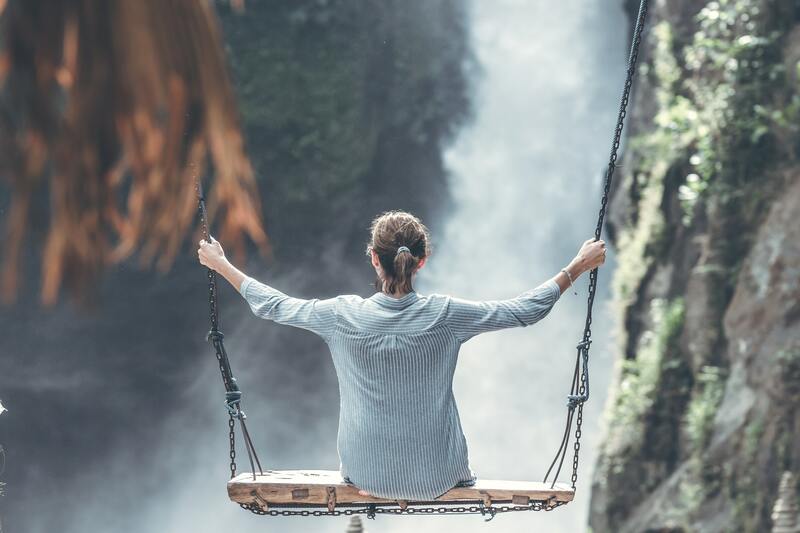 It is fixed and managed by powers greater than ourselves, so instead of ‘trying’ to manage it, there are 3 things that I teach my clients that empowers them to create their perfect life balance. To achieve life balance takes purpose, planning, support and accountability. I’m delighted to share strategies on how to do this at the Smart Breakfast on 6 February where I will be the guest speaker. 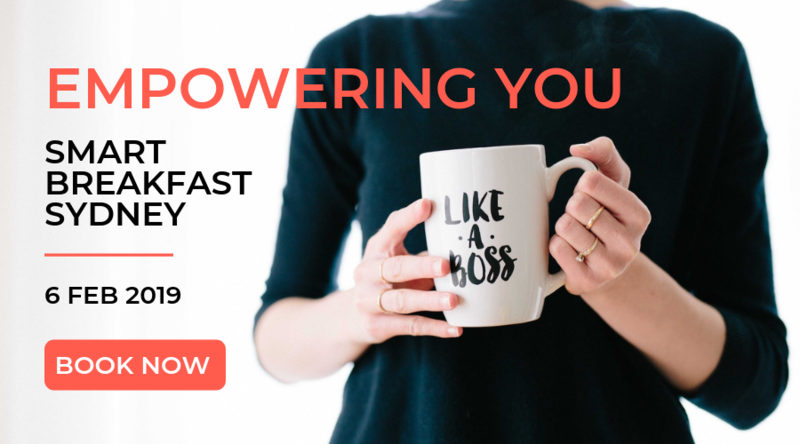 This Smart Breakfast will help you start and finish 2019 feeling positive, in control and empowered to create professional and personal results that speak for themselves.